One of the most frustrating things about plus size fashion can be shopping for accessories. You might think that accessories are a one size fit all item, but unfortunately they're not. When you have a larger neck, chubbier fingers or a bigger wrist then you can struggle to find items that fit you. A few weeks ago a jewellery company called Harry Fay emailed me to introduce me to their rings. 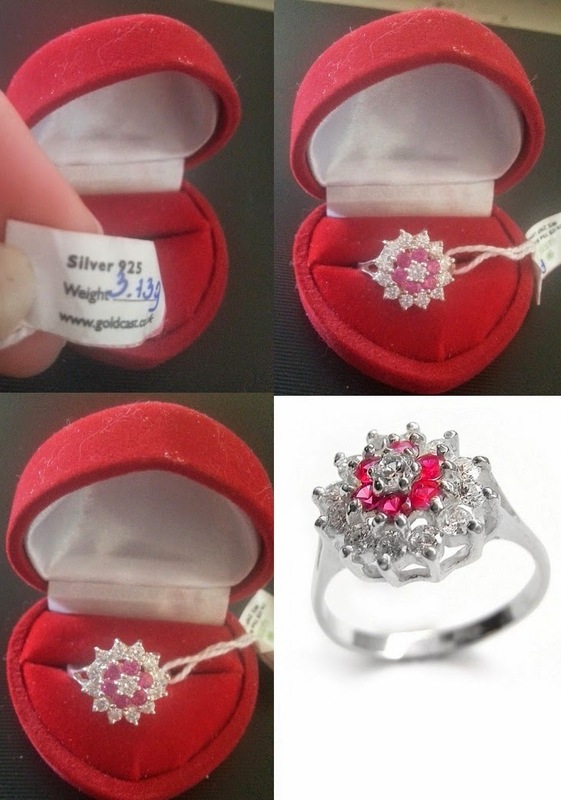 When you browse their website you'll see that they have some amazing rings for sale, all sparkly and pretty! What is even better is that their rings go up to size Z+3, so they should have something to suit everyone. When you're used to skipping rings because they don't fit your fingers or adding necklace extenders to make sure that chains fit it is nice to be able to go to a website and order a ring in your size without any hassle. I am not a massive bling wearer - I am too clumsy and lose things too easily! But if anything was to change my mind, then it would be this lovely Kazumi Pink Sterling Silver Ring that they were kind enough to send me! What is even better is that I ordered it in the wrong size to start with and they quickly organised for me to send the wrong one back and to have a replacement - couldn't ask for better really! 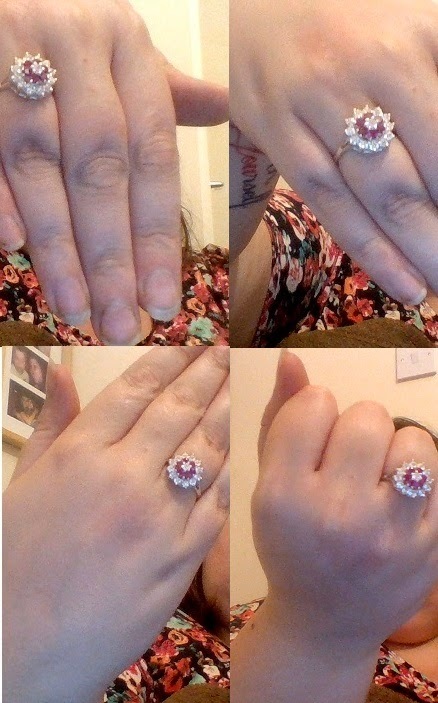 I don't pretend to be a jewellery expert, but I do know that the ring is lovely and it fits great. It feels lovely to wear and it's nice to have a pretty piece of bling I can wear when I feel like it! If you are looking for a ring and have previously been worried about it fitting properly, why not head over to their site and see if you can find something to suit? You can get 15% off until the end of August if you use the code 'WANNABEPRINCESS' at the checkout too! Where are your go-to places for plus size jewellery?